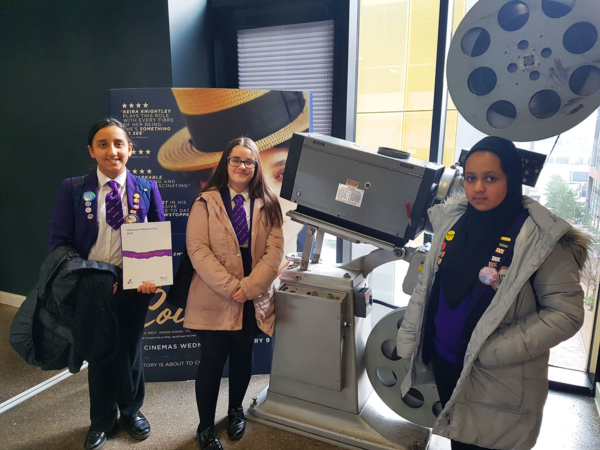 Global Awareness Leaders from Whalley Range 11-18 High School attended the Holocaust Memorial Day event at HOME Theatre, to learn more about the Holocaust and the genocide in Rwanda in 1994. Holocaust Memorial Day provides an opportunity for everyone to learn lessons from the Holocaust, Nazi persecution and subsequent genocides, and apply them to the present day to create a safer, better future. Each year’s Holocaust Memorial Day has a different theme, decided by the Holocaust Memorial Day Trust, as a focus for educational and commemorative events. The theme for 2019 is ‘Torn from Home’. Torn from Home: This year’s theme asks us all to consider what happens when individuals, families and communities are driven out of, or wrenched, from their homes because of persecution or the threat of genocide. The students were able to watch a screening of a collection of very powerful and moving short films covering both the Holocaust and the Genocide in Rwanda (1994), followed by a speaker and interactive learning session. Learn more about the Holocaust Memorial Day on the Holocaust Memorial Day Trust website.